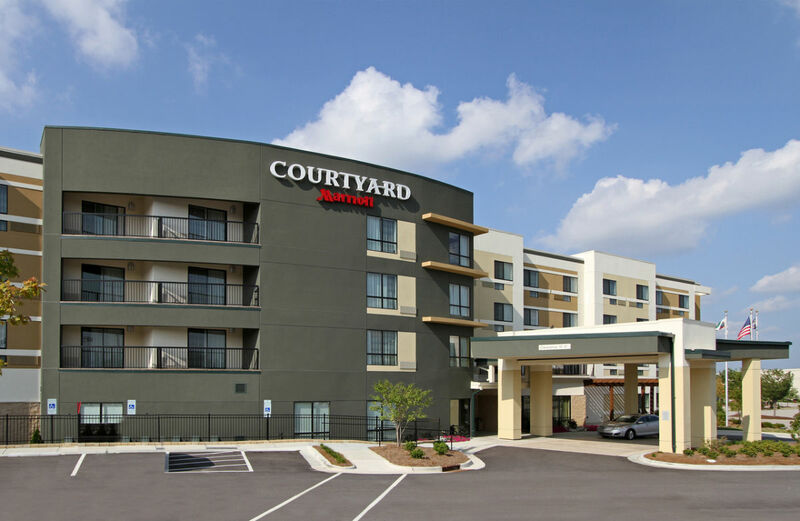 You've arrived at a whole new kind of stay at Courtyard by Marriott Raleigh North hotel, located at Triangle Town Center in North Raleigh. The thoughtfully appointed guest rooms offer you a perfect place to work, relax, and recharge. Enjoy our fresh, plush bedding, modern and flexible spaces including a mini-fridge and well lit work space with free Wi-Fi at this North Raleigh hotel. Enjoy breakfast, Starbucks coffee, dinner and cocktails at the on-site Bistro. The Courtyard Raleigh North hotel offers a convenient location to a wide variety of restaurants, shopping and entertainment at the Triangle Town Center. Many area businesses and attractions such as WRAL Center, PNC Arena, Adventure Landing and Walnut Creek Music Pavilion are close to our Courtyard Raleigh North / Triangle Town Center hotel. Take a dip in our Indoor Pool and don't miss a step in your healthy routine with the Fitness Center. Everything you need is at your fingertips here at this Courtyard by Marriott North Raleigh hotel.